Sultan of the Warsangali Sultanate from 1897 to 1960. SULTAN OF THE WARSANGALI SOMALIA. the 20th Sultan of the Warsangali Sultanate from 1897 to 1960. 1 Gerad Dhidhin 1298–1311 Established the Warsangali Sultanate in the late 13th century. 7 Gerad Ali Dable 1491–1503 Exiled in Yemen, from where he returned with cannon fire. Defeated the Gerad of Dhulbahante's troops in the Battle of Garadag. 19 Gerad Ali Shire 1870–1897 Father of Sultan Mohamoud Ali Shire, with whom he briefly engaged in a power struggle. 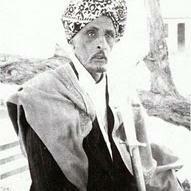 20 Sultan Mohamoud Ali Shire 1897–1960 Led the Sultanate during some of its most turbulent years. Fought against and signed treaties with the British. Eventually exiled to the Seychelles for ignoring imperial entreaties. Also known as the Gerad, the Sultan was the sole regent and governor of the sultanate. He also enjoyed many other titles, including "Sovereign of the House of North East of Somaliland Sultanate" and "Sultan of Sultans of Somaliland". However, early rulers of the sultanate never referred to themselves as Sultan. The Sultan title was only later established by Mohamoud Ali Shire in 1897. The dynasty, for its part, is most often referred to as the "Gerad" or the "House of North East Somaliland Sultanate". In 1896, a power struggle developed between Mohamoud Ali Shire and his father, the powerful Gerad Ali Shire who then ruled the Warsangali Sultanate. The elder Gerad Ali Shire's authority was dwindling and young Mohamoud Ali Shire, with the tacit support of the Isse Garad (Bohogayslabe) sub-clan of the Warsangali Darod, sought to undermine the power of his father. Before then, internal conflict amongst the Warsangali sub-clans had surfaced and had had an effect on Sultan Mohamoud Ali Shire and his ascension to power. The disarray caused by the young Mohamoud amongst the Warsangali was finally settled by the proposal that Shire fils should become Sultan, while his father could remain Gerad. Thus, Mohamoud Ali Shire assumed the title of the 20th Sultan of the Warsangali Sultanate. Mohamoud Ali Shire, the 20th Sultan of the Warsangali Sultanate, pictured on the cover of History Today magazine sitting in front of his palace walls in Maakhir. The Warsangali Sultanate was an imperial power centered in northeastern and in some parts of southeastern Somalia. It was one of the largest sultanates ever established in the territory, and, at the height of its power, included the Sanaag region and parts of the northeastern Bari region of the country. The sultanate was established in northern Somalia by a group of Somalis from the Warsangali branch of the Darod clan, and was ruled by the descendants of the Gerad Dhidhin. The product of a six hundred year-old tradition of regal decorum, Sultan Shire administered his Sultanate from a large two-storey palace in Las Khorey. He also maintained a fortress, which, though now mostly in ruins, still remains an important historical site. Under the Sultan's general command was a council of elders, which he intermittently summoned, as well as a personal corps of guards equipped with rifles. Martially, Sultan Shire presided over an extensive cavalry, with subsidiary commanders that were likewise under his immediate charge. Very well endowed in terms of animal wealth, he also kept a stable of well over a hundred thoroughbred Arabian horses (faras), the latter of which Italian and British garrisons used to purchase from him. Sultan Shire had a rather complicated relationship with Sayyid Mohammed Abdullah Hassan, the Somali religious and nationalist leader whose Dervish State fought a two-decade long war against British, Italian and Ethiopian forces. Despite being Hassan's brother-in-law, the two rulers could not see eye to eye on a number of political, religious and social matters. Sultan Shire steadfastly defended his sultanate from being incorporated into Hassan's Dervish movement, and fought a number of battles to preserve its autonomy. The Warsangali clan within the British protectorate on the eastern coast who under their spirited leader Sultan Mohamoud Ali Shire had now decided to throw in their lot with the Dervishes and in Jan 1908, fired on a British dhow as it was landing on their coast. This incident has led to a hostile exchange of letters with the consul at Berbera and it was evident that the Dervishes would soon be on the March again. Furthermore, Hassan's association with Sultan Shire as brother-in-law gave him access to the Maakhir coast, which served as a gateway to the Arabian Peninsula for the importation of firearms and ammunition. The Dervishes thus resumed their movements, which rendered the British nervous, especially since their alliance with the Isaaq forged in a treaty from 1885 had proved ineffectual. After a quarter of a century of holding the British at bay, the Dervishes were finally defeated in 1920 as a direct consequence of Britain's new policy of aerial bombardement. Soon after Hassan's defeat, the British, dreading the prospect of another several decades of costly and difficult battles with yet another Somali potentate, set about attempting to neutralize Sultan Shire's influence. In short order, Shire was secretly invited to a conference in Yemen, ostensibly to discuss possible ways of settling differences. After a short session before the meeting was scheduled to begin, he was taken into custody by the British authorities. Sultan Shire was later tried without proper representation in a kangaroo court. Due to his vehement and active opposition to foreign rule over his territory, Shire was sentenced to exile in the Seychelles for a period of seven years. On May 3rd, 1920, on board the HMS Odin, Sultan Shire was delivered to British authorities in the Seychelles from their colony in Bombay, India. At the time of his arrival on the archipelago, a number of other prominent anti-imperialist leaders were also exiled there, including Sa'ad Zaghloul Pasha, the former Prime Minister of Egypt, with whom Sultan Shire would soon develop a rapport. Despite this confinement, Shire managed to maintain his sultanate's autonomy, even after his ultimate return from exile. The Sultan continued to play a prominent role in local affairs until his eventual death a few months after independence: existing documents show that the British administration regularly sought his support before introducing any major policy changes so as to avoid alienating the influential leader.